A challenging tour with a great mix of terrain and views. 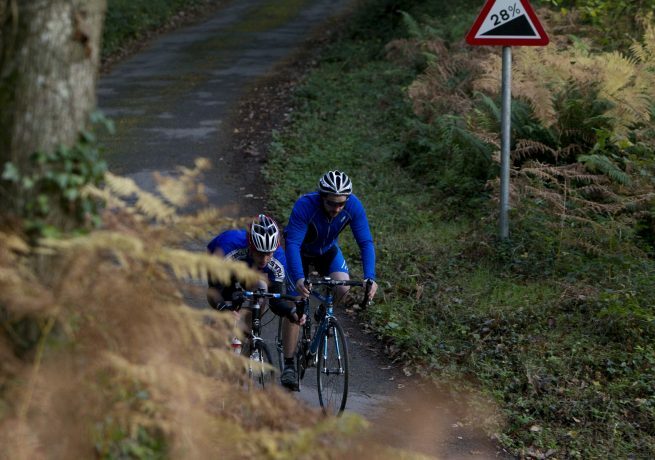 Following the same route as the 4 day and 8 day Road Tours, this tour covers an average of just under 40 miles (62km) each day with a mixture of undulating hills and flatter terrain. For a longer tour, try our 8 Day Road Tour, or for a more challenging route try the 4 Day Road Tour. Cycle hire: Add £100 per person. Check in for your first night’s accommodation at Wadebridge Bed and Breakfast in the north Cornish town of Wadebridge. In the afternoon you are free to explore the abundant independent shops and cafés of Wadebridge, or you could stretch your legs by cycling the local lanes. If you are hiring a cycle for the tour, we will get you set up and make all the necessary adjustments in the afternoon of your arrival, such as fitting pedals, to ensure you are ready to go in the morning. 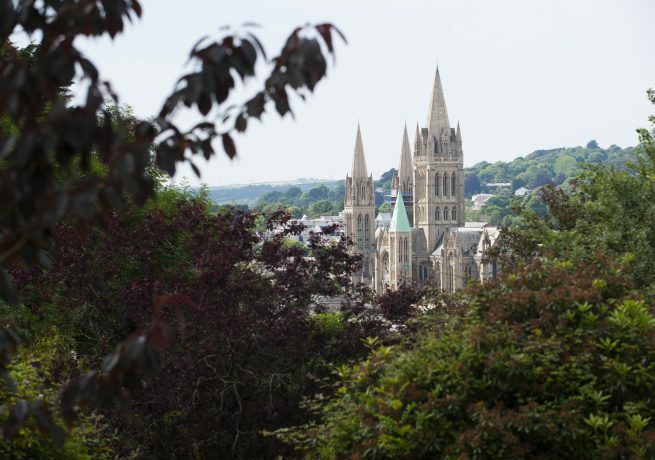 Wadebridge Bed and Breakfast, Wadebridge Wadebridge Bed and Breakfast is contemporary, eco-friendly guest accommodation with easy access to the town centre, the Camel Trail, local and coastal walks and scenery. With Egyptian cotton bed linen and a hearty ‘full Cornish’ breakfast served each morning, you’ll be well prepared for your first day of cycling. Rooms are available as double or single occupancy with a choice of twins or doubles, and guests have full use of the garden and communal lounge. Leaving Wadebridge, your tour heads south including the challenging Hustyn Hill, a 28% incline. (Please note in wet conditions this hill is uncycleable – an alternative route is suggested in your briefing.) Skirting around Bodmin, the route follows the old main A30 trunk road then drops down through Ladock to Truro, the county’s capital. Passing the historic cathedral, the city provides plentiful opportunities for lunch with a host of restaurants and eateries. After lunch you continue south before crossing the river Fal for the first time on the King Harry Ferry at Feock. Coasting down to the beautiful scenic village of St Mawes, you catch the ferry to Falmouth, home to the world’s third deepest natural harbour, the National Maritime Museum, and your accommodation for the evening. The Gyllyngvase House Hotel, Falmouth The Gyllyngvase House Hotel offers quality accommodation and all the facilities of a small hotel. 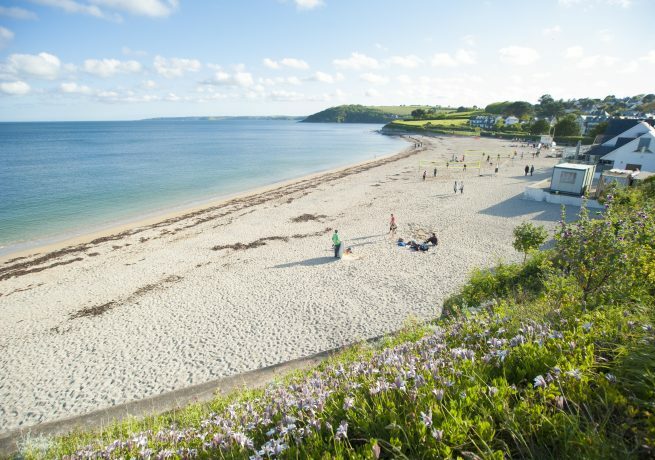 This is a friendly, family-run hotel, situated only 200m from the seafront at Gyllyngvase beach with Falmouth town centre and historic harbour just a few short minutes walk away. The Hotel has 13 bedrooms, comprising of doubles, twins, family rooms and singles. Paul and Emma Lower are the proprietors of this family run hotel and will personally supervise all your arrangements during your visit. Leaving Falmouth the route passes Trebah Gardens and the beaches of Swanpool and Maenporth, before turning inland to cross the Lizard Peninsula. Cycling through some of the most unspoilt villages on the Helford River, the route takes you to the town of Helston, home of the Flora Dance festival. From Helston there is a short ride down to the fishing village of Porthleven, which is home to an array of pubs, cafés and art galleries, as well as one of the best surfing breaks in the country. The Harbour Inn, Porthleven The Harbour Inn is a lively pub situated on the harbour in the small Cornish village of Porthleven.The Harbour Inn has 14 rooms in total each featuring a telephone, television, tea and coffee making facilities and a hairdryer. All the food served at The Harbour Inn uses fresh local produce and there is also entertainment in the bar on Saturday evenings, with a fun quiz night on Thursday evenings. 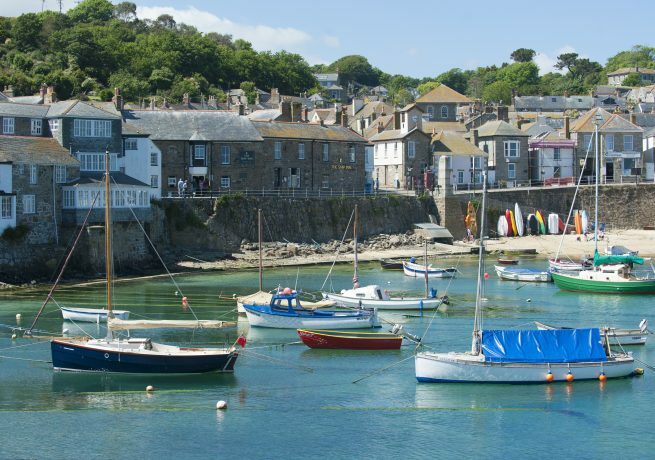 From Porthleven you will cycle along the picturesque coast road through Penzance, Newlyn and Mousehole, a cosy fishing village with real charm and character. Porthcurno is home to the Minack Theatre – a unique auditorium and stage carved into the cliff above the sea with performances throughout the summer. 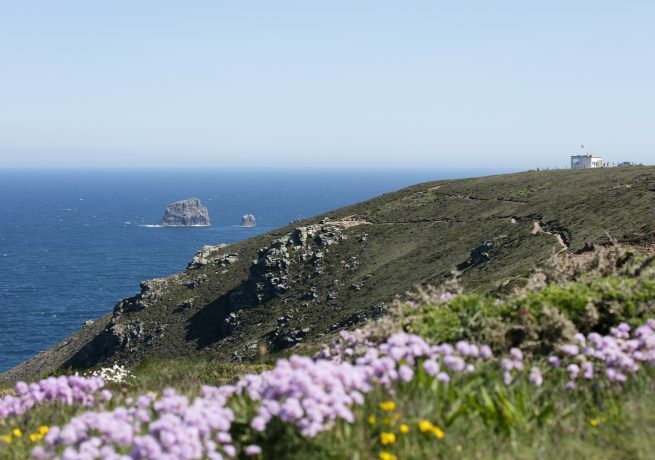 You’ll arrive at Land’s End, England’s most westerly point, where it is possible to see the Isles of Scilly on a clear day so keep an eye out. Then it’s on to one of the most ancient mining districts in Cornwall, St Just. Continuing on the hard going route of climbs you’ll enter St. Ives, with its cobbled streets and magnificent scenery. The Queens Hotel, St Ives The Queen’s Hotel is a late-Georgian, three storey building in the heart of picturesque St Ives. Eight en-suite bedrooms have been redecorated with vintage furniture and Cornish artwork, plus sparkling new bathrooms with new showers. Downstairs is a relaxed and friendly bar with delicious pub food made from the finest local, seasonal ingredients Cornwall has to offer. Continuing with the challenging terrain of the previous day, you’ll enter Hayle, known for its three miles of golden sands and is also a good bird watching spot. From there the tour continues along the north coast passing the beaches of Portreath, Porthtowan and Perranporth. 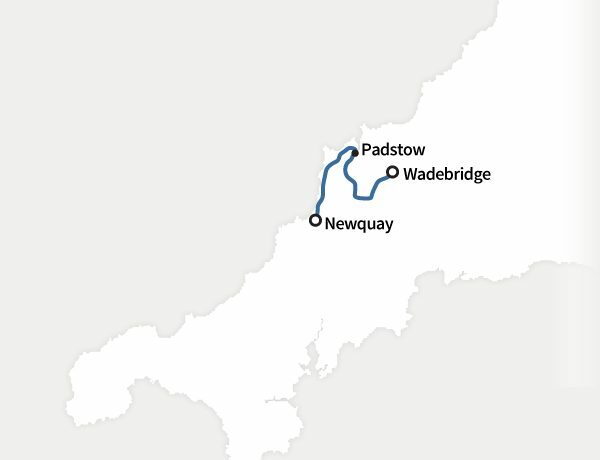 The route then circles the famous sand dunes at Holywell Bay, before arriving in Newquay, famous for its surfing beaches and nightlife. The Great Western, Newquay The recently refurbished Great Western Hotel is set in the heart of Newquay with a superb sea view, cliff top garden and terrace, and only a few steps away from the beach. The Great Western Hotel offers some of the best value accommodation in Newquay for relaxation, informality and comfort. Steam, the hotel bar and restaurant, offers a menu of locally sourced dishes, blending Cornish produce with Mediterranean cuisine, and the well stocked bar offers an extensive range of drinks. The shortest day on the tour sees you continue to follow the contours of the north coast through Porth, St Eval and St Merryn before a tough ride to Padstow, known for its fantastic Christmas Festival and plentiful foodie offerings, with a number of great restaurants lining the harbour, including Rick Stein’s Seafood Restaurant, Paul Ainsworth’s No. 6, and Prawn on the Lawn. After a well-deserved break, it’s on to the final leg. An easy ride south to St Columb Major and then on to trickier terrain through small villages and splendid countryside on the way back to Wadebridge. 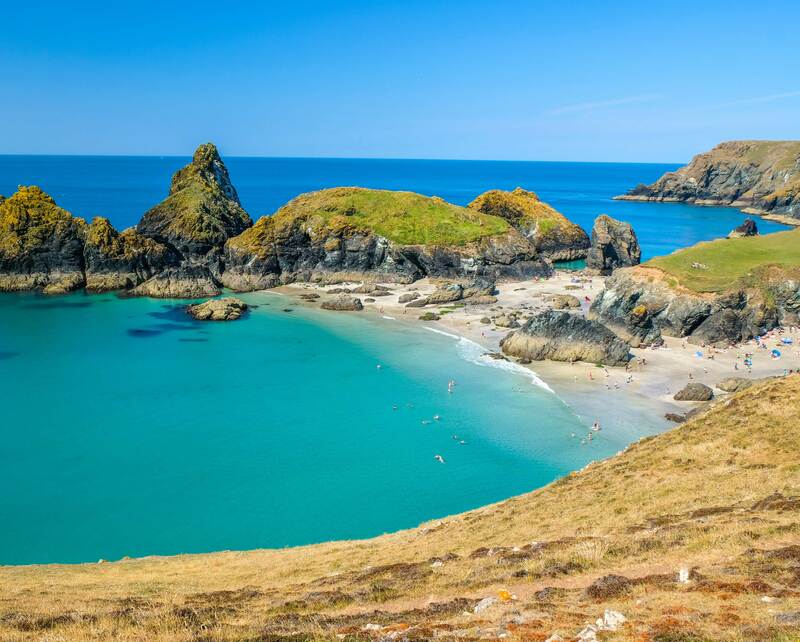 One of Cornwall’s most picturesque spots in the county boasts golden sand, turquoise blue water, and dramatic cliffs – a must visit. 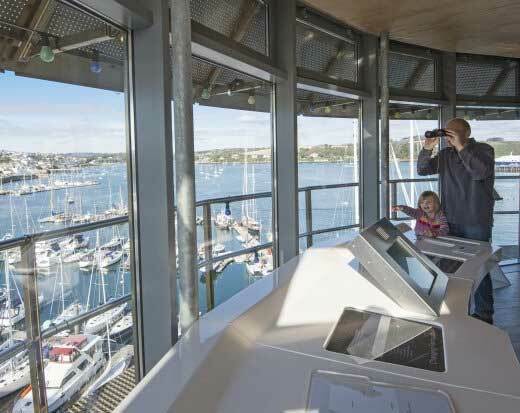 Falmouth’s harbourside museum features more than 15 galleries, interactive exhibitions, maps to help the story of Cornwall’s maritime history. 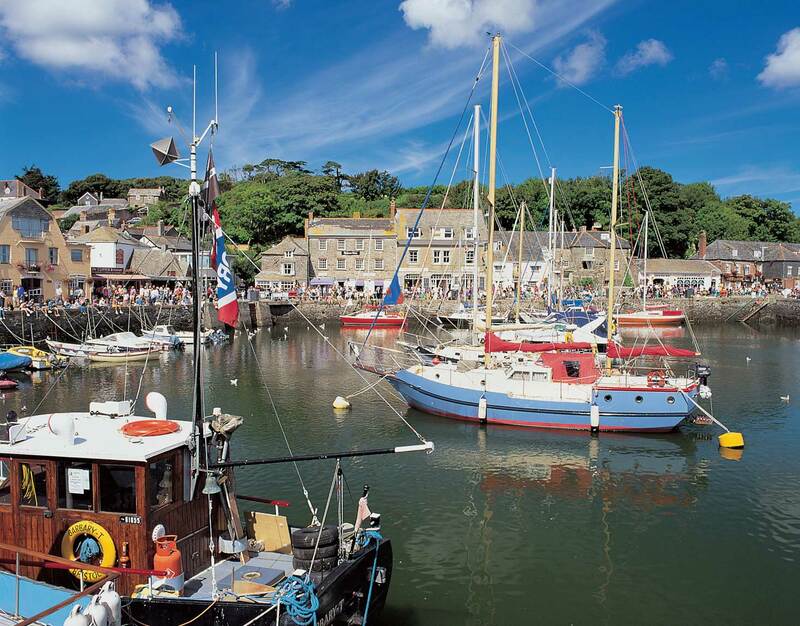 Famous for its award-winning restaurants, the charming fishing town of Padstow is surrounded by sandy beaches, and features fantastic views of the Camel Estuary.